Hey there! I’m going to have a wee bit of time this weekend, so I wanted to get a couple of blogposts out there before I disappear into the abyss again. This post is for a custom doll. Now, I don’t normally do custom dolls, but the opportunity came up, and so we just had to try it out. 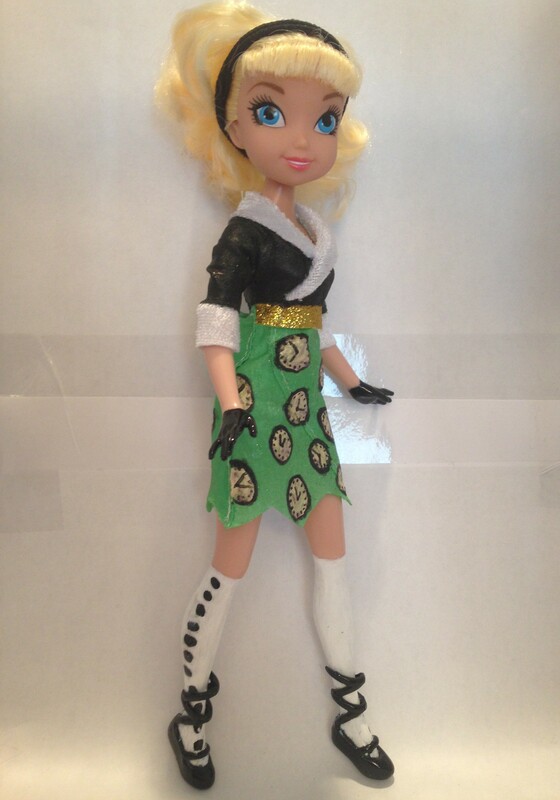 I did do a custom Draculaura doll along time ago, but I didn’t blog about it because it’s quite rudimentary. I’m not exactly an expert at this stuff, you know. Here is the before and after, just in case you were wondering. 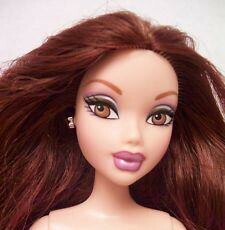 You can also check out where we made under some other fashion dolls here. Okay, now onto today’s post. 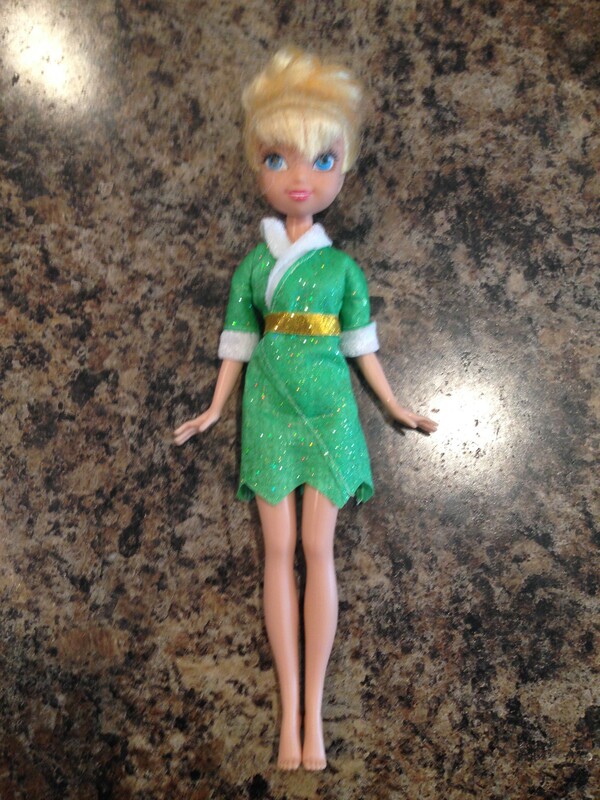 She’s pretty, but my daughter just doesn’t do Tinkerbell anymore. We actually acquired her at a thrift store. 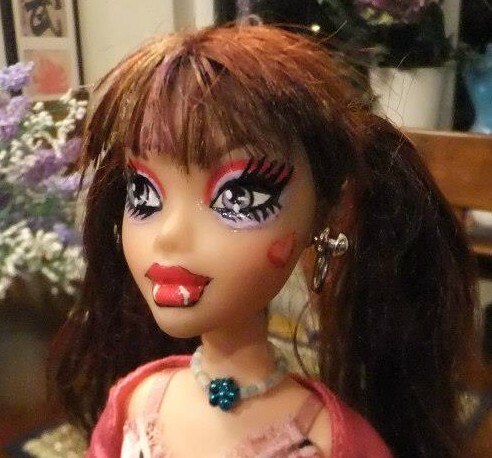 She was in a bag with a much more coveted Monster High doll. Even though my daughter had no interest in Tinkerbell, I instantly thought that this doll would be perfect to do a custom Bunny Blanc doll from Ever After High. This is Bunny Blanc. 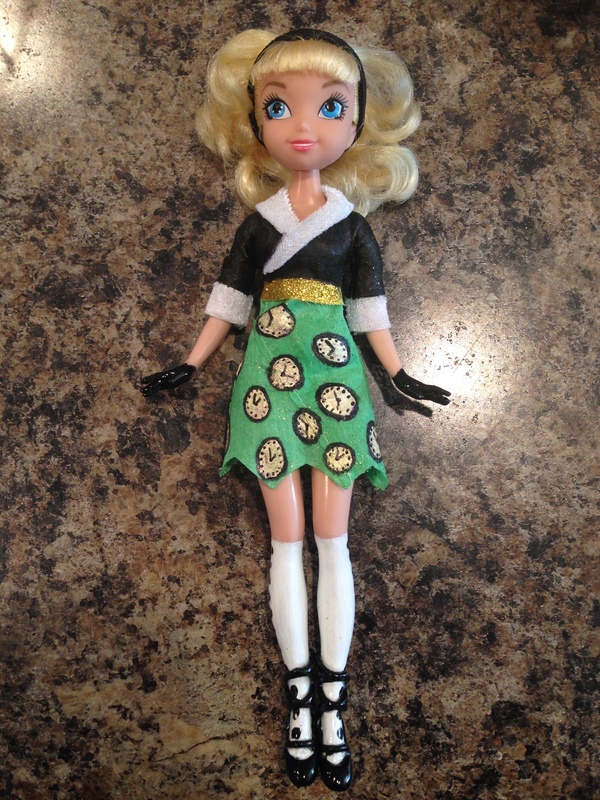 She is shorter than the other Ever After High characters so I knew that our Tinkerbell would be the perfect size. First we had to find Tinkerbell some shoes. That was tricky because her feet are smaller than any of our other dolls, but we finally managed to find some that fit. 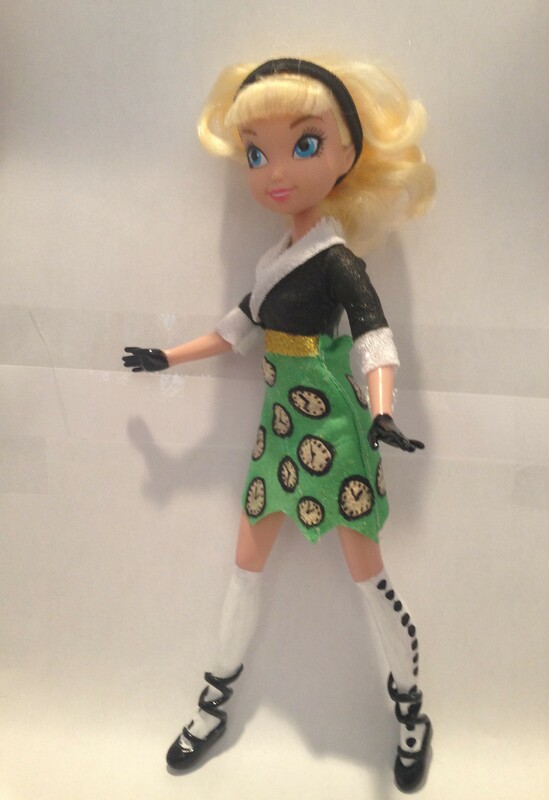 Then we painted her boots, her gloves and her dress. I just used acrylic paints. Her boots don’t come off. We also took her hair out of the bun. I couldn’t get her curls to straighten, but I think she still looks pretty cute. I also couldn’t find anything to make bunny ears out of, so for now she just has a hairband. My daughter finds it a bit weird that the actual character has rabbit ears anyway. Like is she a bunny or a human?? She’s the daughter of the White Rabbit, but she has human ears too, I’m told, so I don’t think that she’s an actual rabbit. That’s what makes it so confusing. Anyway, we love our custom Bunny Blanc doll! 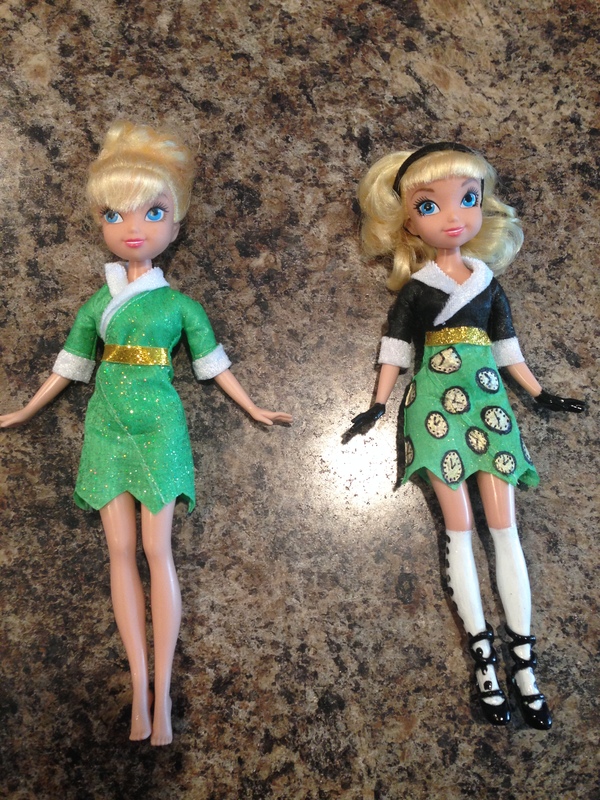 Here is a pic of the dolls side by side. Yeah, we ended up with two of the same Tinkerbell dolls. I don’t know what the heck I’m going to do with the other one. You can see that I clipped her bangs a bit to make them straight across. I also darkened her eyeliner a little. Here is a close up of her boots. They don’t come off. I had to glue them on because they were a tad small. It was very difficult to get them on without chipping the paint on her socks anyway. The actual Bunny Blanc also has pink skin. That’s another mystery. Oh well, we are quite happy with our version. I hope you enjoyed, and I hope you have a great weekend!